The Carry-All Knife Pouch is a durable nylon sheath for folding knives, multi-tools, flashlights, etc. Fits up to 4.5" folder with 1.5" diameter. Velcro closure and elastic compression band. 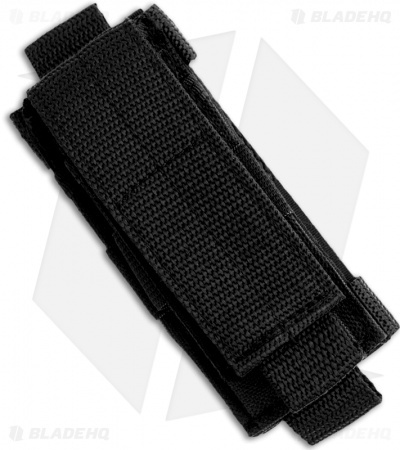 Horizontal and vertical belt carry options.